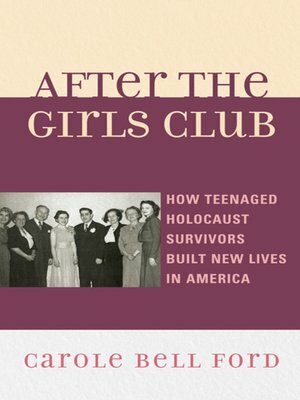 After World War II, the Girls Club of Brooklyn, New York, became both home and safe haven to orphaned teenagers who were Holocaust survivors. They are a small group, but taken together these women's stories represent the broad range of experiences that most Jews suffered during and after the Holocaust. Some endured the ghettos and camps. Some survived in hiding, with partisans, or in the remote far-eastern reaches of the Soviet Union. Consequently this collective, personal history-enriched with relevant information about places, people, events and issues-tells not only their story, but also the story of tens of thousands of child survivors. The work of scholars from various disciplines and genres provides background information and historical detail as this book traces the women's experiences from their childhood days in pre-war Europe to the present. Contrary to what early literature on child survivors predicted, they built successful lives in America. Carole Bell Ford is professor emerita at Empire State College, SUNY.